We add the Bitmojis of our guests for each episode! In a recent episode of Sons of Technology: The Podcast, one of two podcasts that I help to create, my colleagues, Joe Marquez, Jesus Huerta, and I decided to talk about something that many people are not comfortable or willing to discuss: failure. In our world, failure is often frowned upon and not seen as an opportunity to reflect, learn, and prepare to be better in the future. And while we always prepare talking points for Sons of Technology, we don't necessarily prepare statements and detailed and refined sound bites because we want the conversation to flow and sound natural. In our conversation, we talked a little bit about some times in our careers in which we failed and what we learned from the experience. 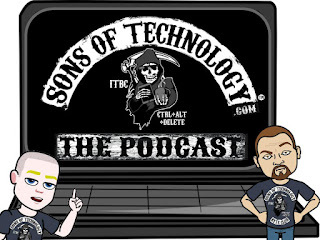 Shameless plug: you can listen to Sons of Technology: The Podcast on Anchor, Apple Podcasts, Google Podcasts, or wherever you listen to podcasts and please tell a friend or colleague, give us a rating on your podcast app, and share your thoughts with us on Twitter by tagging @SonsofTechEDU. The episode got me thinking a little bit more about times of failure in my 13+ years as an educator. There are so many that I could probably write an entire book just on failures. However, I don't necessarily remember the circumstances surrounding every failure, and while we should always learn something from failure, that hasn't always been the case. While not an educational failure, there is a level in Super Mario World for the Super Nintendo that I struggled with mightily. In fact, I even watched a video on YouTube that listed the 10 hardest levels in the Super Mario universe and this level made the list, number two to be exact. 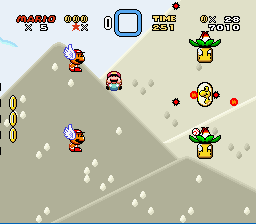 The level is in the Star World's Special Zone, the second level named Tubular. I tried the same approach to beating the level on numerous occasions, with the same result: death! I would spend nearly an hour on the level before my frustration set in and either moved on to another level or quit entirely. I wasn't learning from my mistakes and trying to do something new. It took me finding a YouTube video on how to beat the Tubular level before I finally was able to beat it with consistency. I certainly won't say that the level is easy now, but now that I know how to attack it, I can beat it with a lot less Marios and stress! However, many of the failures in our lives and careers don't have a definitive solution or a YouTube video tutorial. There are a lot of factors that go into failure at times, so not only am I trying to open myself up and admit failure, I am trying to start some dialogue to include others in a conversation to share ideas in solving said failures. 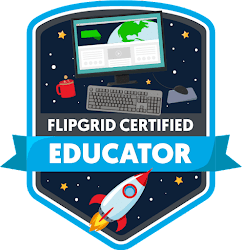 Unless you have just landed on Earth from Tatooine, Hoth, Dagobah, or Jakku, you are most likely very well aware of Flipgrid. I love Flipgrid! I love how it's an alternative to more traditional forms of assessment, it's great for students that struggle to express themselves through writing, it allows for dialogue between teachers and students and between students, and it's an educators favorite four letter F word: FREE! You know who doesn't love Flipgrid though? My students! Just the mere mention of Flipgrid with my students will raise a very audible groan from many of the students. I see that celebration stories all over social media with Flipgrid, and while I am trying, I am STRUGGLING to get students to embrace it. In the beginning of the school year, I introduced Flipgrid to my classes with a quick tutorial and had them introduce themselves, well, the very few that completed the activity. After asking a handful of students why they didn't complete it, many of them stated that they weren't comfortable on camera. So to address this concern, I gave students the choice to complete a video with the camera covered or turned off so that it was an audio only recording. I still could not get students to complete Flipgrid activities! And I still cannot! I have given students the option to complete from home, complete in the hallway, a variety of topics and I am at a loss at how to harness the power of this tool in my classes. Most of my students have resorted to completing activities like writing or typing responses rather than using Flipgrid. At this point in the school year, I am relatively content with giving them a few choices for assignments and getting something rather than nothing. Another very popular lesson and activity that gets a lot of buzz on the socials is the hyperdoc. It took me a while to fully grasp the idea behind the design and use of a hyperdoc, but after a little help from The Hyperdoc Handbook and numerous sessions and conversations, I finally felt that I was ready to build and use my first hyperdoc with my class. I spent some time building what I thought was an amazing lesson on the Industrial Revolution, providing a background activity, some activities to build knowledge and skills surrounding the Industrial Revolution, then a reflection piece at the end for students to demonstrate what they had learned. I even built in time over the course of a handful of class periods to work with the document, as the students had never seen a hyperdoc before. And while many students completed the activities, the quality of work was not up to my expectations, nor was the completion rate, as my students skipped some of the activities in the document. Full disclosure, I felt so terrible about how it went, I have not created and used another hyperdoc since, and this was over four months ago as of the time of this writing. I wracked my brain over and over again as to what went wrong and why it did not go as planned. 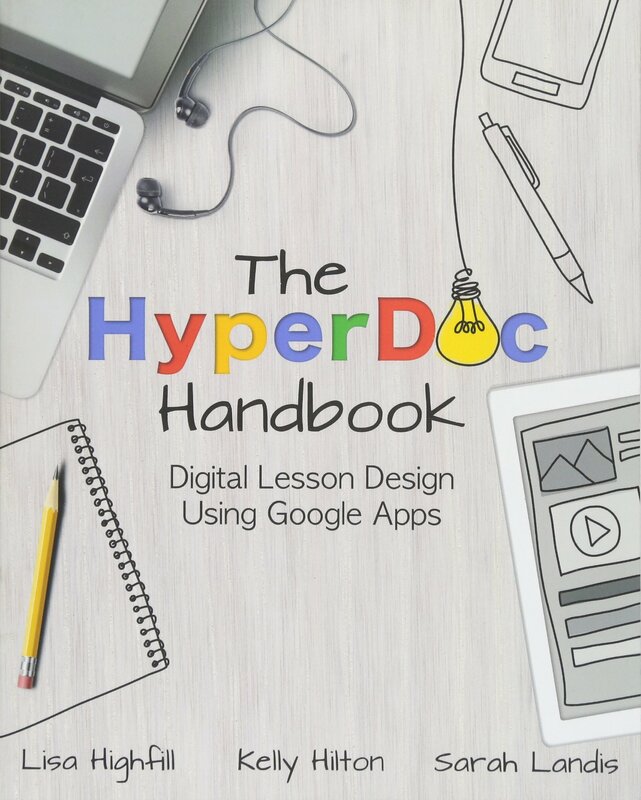 I had grand plans to incorporate hyperdocs on a regular basis and my co-teacher loved it. 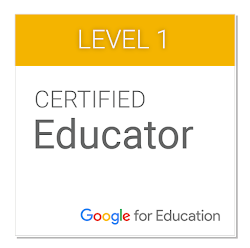 But after reflection and a great conversation with Kelly Hilton, one of the creators of the hyperdoc idea and co-author of The Hyperdoc Handbook with Lisa Highfill and Sarah Landis, I realized that it was a great hyperdoc, for down the road after students have been eased in and understand the process. 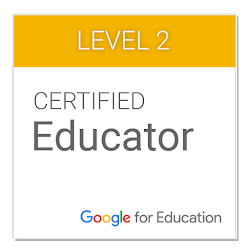 I put way too many activities into the document, used way too many different strategies and tools (a modified question formulation techinique, or QFT, a Flipgrid response, and a set of vocabulary in Quizlet were all part of it) and completely overwhelmed my students. I'm not going to lie, I'm still a little hesitant to build and use another one, but soon I am going to sit down, build one, take the risk and use it with my students because it's not true learning from failure unless you try something new! If you don't have this, you need to get a copy NOW! Vocabulary was something that I always dreaded in school. It was always the same: teacher gives a list of vocabulary, you copy the definitions from the glossary in the back of the book, or the teacher tells you to write the definitions in your own words, turn them in, have a quiz or test on the vocabulary later on. And in the spirit of openness to admitting failure, I was that teacher for a long time. But now with all of the various digital tools at our disposal, we can make vocabulary much more engaging and interest. I like to use a trio of tools for vocabulary in my class: Pear Deck's Flashcard Factory, Quizlet, and Quizizz. 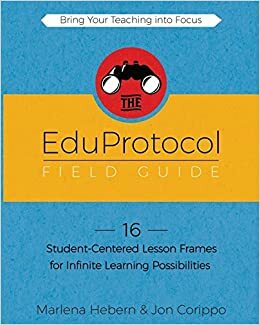 Borrowing from Jon Corippo and Marlena Hebern and their Eduprotocol Field Guide, I like to begin a unit with a vocabulary "quiz" that does not count for a grade to demonstrate students' prior knowledge. As the unit progresses, the "quiz" is administered a few more times to improve students' retention of vocabulary and to show their growth. I use Quizizz for the quiz, students are given the terms and definitions in Flashcard Factory to create digital flashcards that either rewrite the definition, use the term in a sentence, or provide examples of the term, as well as a visual depiction of the term. Once students have created their cards, we work together to create a set of flashcards from the best ones which are then exported to Quizlet where students can practice the terms through a variety of activities that incorporate the flashcards. We even play Quizlet Live as a class every now and then to have a fun competition while practicing the terms. Sounds like a success, right? Why am I addressing this as a failure? Much like how my students cringe when they hear Flipgrid, it's very similar when they know that these activities are coming as well. Many students especially dislike Flashcard Factory, stating that they would rather be given a list of terms and have them define them. Many especially dislike the drawing part of the slides, which I can understand a little bit if you are not artistic. But what is most frustrating is how well students have done throughout the year using this system for vocabulary. Many times, students will score, on average, about 30-40% on the first quiz, then score about 55-65%, before averaging over 80% as a class on the final quiz of the unit. I emphasize this each time we use these activities and it's so disheartening at times when students don't seem to care about it. While I feel like a failure, I know that it's working, so I will continue to use it and make tweaks as I go, when needed. As we discussed on our episode of Sons of Technology, embrace failure, share failure, learn from failure, start a conversation about failure. We will all be #BetterTogether if we can have these conversations. And advertise these failures on social media, it's not always rainbows and unicorns out there, we are not the perfect world that social media makes our profession out to be sometimes. The air was crisp, hovering around 40 degrees, with a strong breeze that makes one regret not having a sweatshirt or coat, even if one is only outside long enough to top off the gas tank and run the squeegee over the windows. While the sun would be up for another hour or so, the string of granite, snow-covered peaks of the Sierra Nevada block the last beams of warmth and light, plunging the temperature further as it sunk further behind the mountains. While this sounds like a grand scene for a ride home to curl up on the couch with a book, Netflix, and maybe a cup of tea, this was the beginning of a much longer drive, one beginning in Northwestern Nevada and ending in the Mojave Desert of Southern California. A ribbon of blacktop lay before me, but the familiar images of rocks, Joshua trees, and few and far between services along California state highways would be replaced by snowbanks, pine trees, and few and far between services along US 395 through the Carson Valley, along Mono Lake, the Owens Valley and eventually to the 15, 215, and 10 into Palm Springs for the annual Spring CUE Conference. This year's trip would be my first after moving from Las Vegas to Reno. 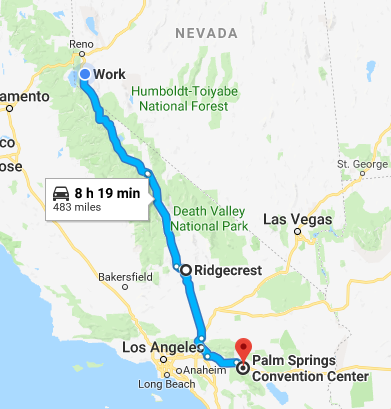 That being said, the drive from Las Vegas to Palm Springs was a little over 4 hours, this one would be between 8-9 hours, as it is about 500 miles rather than about 280. Most people would fly in my situation, but I drive for several reasons, including the price difference and my love of driving and seeing beautiful and interesting things along the routes. However, since I was leaving after work, I would not be doing the entire drive in one shot; I would be watching the road through two headlights for about five hours with an overnight stop in Ridgecrest, with the remaining three or so hours on Thursday morning. So as I crossed the Nevada line at Topaz Lake into California, I cruised along while burning through a few podcasts and albums from Our Lady Peace, The Tragically Hip, and Static-X. & Angela Barnett while hawking some CUE gear! This year, for the first time, I volunteered some time at the conference. I chose to work in the CUE gear store, selling shirts, books, and other swag to conference attendees. My first shift with the CUE store was at 12:45 on Thursday. I also had to check into the house where I would be staying, so I decided that as long as I left Ridgecrest by 8:00, I would get to Palm Springs in time to check in and make it to the convention center. I set my alarm for 7:30, but I woke up around 5:45, deciding there wasn't any point in trying to go back to sleep, so I got around and left the hotel around 6:15. I set the cruise for a couple of miles BELOW the speed limit so I wouldn't get there too early, as my house wasn't going to be available until after 10. A stop for coffee and a couple of more stops just to walk around and enjoy a temperature that wasn't below 40 degrees for the first time in a while, I made it to Palm Springs to kick off my conference! I had looked at the schedule in the days ahead of the conference, but it didn't quite hit me just how full my schedule was going to be. With my times volunteering, my selection to speak during CUEBOOM (more on that in a moment), the Supermuch Sticker Swap, and trying to record episodes of both The BeerEDU Podcast and Sons of Technology: The Podcast, I was going to be hard pressed to get to many sessions. However, I knew that the hallway conversations were going to be great, with countless people that I don't get to see often attending. Within minutes of arriving, I ran into Tisha Richmond, Tara Martin, Brent Warner, Tom Covington, Mike Jephcott, and Cate Tolnai and many more and watched an interesting take on a keynote speech, a duet featuring Alice Chen and Martin Cisneros, moderated by one of my favorite people of all time, John Eick. ready to drop the mic BOOM style! So, about this CUEBOOM. A couple of months back, the call for speakers was sent out asking for people to apply to speak about something they are passionate about in three minutes. I have never given a keynote speech or spoken to a crowd of more than 200 people, but I had an idea about speaking to people about the importance of creating and building a brand that I decided to submit. I received notification a few weeks ago that my submission had been accepted along with a template in which to build my presentation. A couple of days prior to the event, we, the speakers, were notified of the order in which we would give our speeches, with my name at the top of the list. I was astounded because I was on a list with some names of people that I really admire and draw inspiration from, people like Brent Coley, Cori Orlando, Lisa Nowakowski, and Bill Selek. I was even more astounded when the organizer of the event, Ann Kozma, told me that she wanted me to go first because my personality, passion, and intensity would be amazing to kick off the event. I hope that I lived up to expectation. 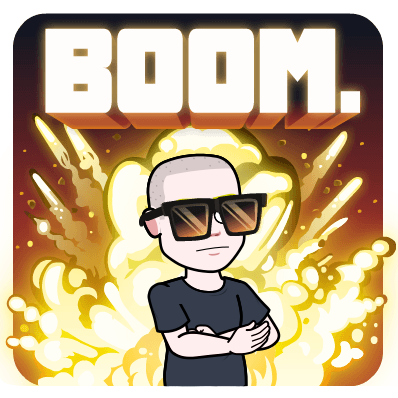 To check out my speech, as well as eight other amazing educators' speeches, check out the link to the entire CUEBOOM session here. 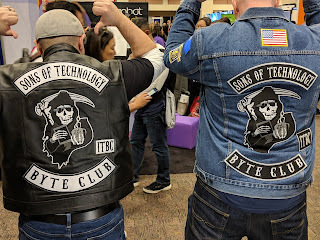 Our jackets were a big hit at the conference! As co-host for two podcasts, naturally, we wanted to get some recording down while we had people available in the flesh. Joe Marquez and I decided that we would record on Saturday morning of the conference before any sessions began and put out an open invite to folks to join us for our recording. Because we did it at 7:30 and because many had to prepare for sessions, we only had Jesus Huerta come join us, but it was still a great conversation on fails. 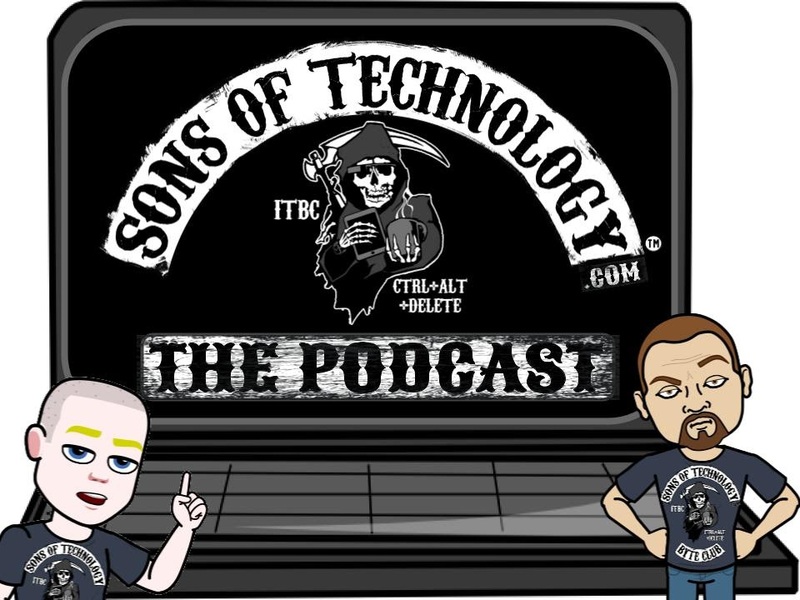 You can check that one out wherever you listen to podcasts by searching for Sons of Technology: The Podcast. And on a side note, congratulations go out to Jesus, as he was selected as the recipient of the Leroy Finkel Award of $2000 that he will be using to expand projects with his students! Eddie Simoneau, and of course, my partner in crime, Ben! For The BeerEDU Podcast, Ben and I decided that rather than recording an entire episode, we wanted to get clips of individuals and ask them about their conference experiences and because of the nature of our show, what they like to unwind with after a long week and they are out with their colleagues and swear that they aren't going to talk about work. So Ben and I pulled up a spot in the hallway of the convention center and as people walked by, we flagged them done and got their voices "on tape." After a quick CUE-NV affiliate meeting, we continued to get voices at a social event outside by the pool. We will be putting the finishing touches on this episode this week and releasing it over the weekend, so if you are reading this prior to March 23, 2019, it's not ready just yet, but like previously mentioned, you can also find this podcast wherever you listen by searching for The BeerEDU Podcast. So in between volunteering three sessions in the gear store, participating in CUEBOOM and recording some clips for the podcasts, I also got to participate in the Supermuch Sticker Swap. Essentially, those selected were given a table in which to advertise stickers, trade with others that came through and talk with others about our stickers or anything in between. I had stickers for Anderson EdTech, The BeerEDU Podcast, and a few Sons of Technology Podcast, plus buttons and a handful of magnets. Most of those that came through were people that I had never met before, and it was a lot of fun telling the story behind the stickers. I also collected quite a few more for my laptop cover. 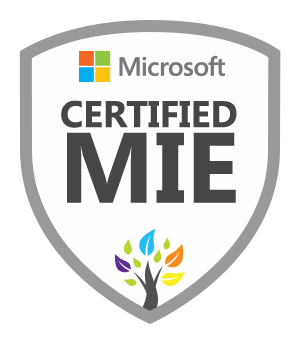 And while they had the event at FallCUE in October 2018, this one was more organized and was a lot smoother than the previous iteration. But perhaps the best part of the conference was the interactions and conversations with so many people. 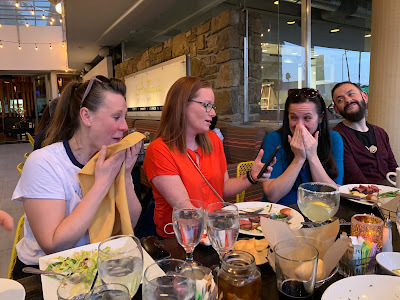 Three conversations that really stand out as the highlight of my time in Palm Springs include the several at the Pear Deck & Flipgrid happy hour, one with Kelly Hilton of hyperdoc fame, and a low key after conference wind down at dinner and around a fire on Saturday night with several others. Many of the conversations were with people that I have known for a long time, people like Nicole Beardsley, Adam Juarez, Katherine Goyette, Ann Kozma, Kelly Martin, and many more. Some were with others I have met previously but do not know very well, such as Joey Tarleson, Adam Goldberg, Matt Miller, Jen Giffen, and Martin Cisneros. Then there were the conversations with people I was meeting for the first time, like Kelly Hilton, Corey Mathias, and Susan Casey. repeating, yet similar things are still happening today! Needless to say, the long drive home was going to be a great opportunity to reflect on my learning and conversations that I had over the previous days. However, I was also going to need to break up the trip a little bit as well. Per recommendation by Brian Briggs, I binge listened to The Ron Burgandy Podcast, a little bit of silly and stupid that made me laugh while driving through the barrenness of the drive between Victorville and Lone Pine. But once I made it to Lone Pine, I needed to get out and move around a bit. Between Lone Pine and Independence, CA is the site of the Manzanar National Historic Site. 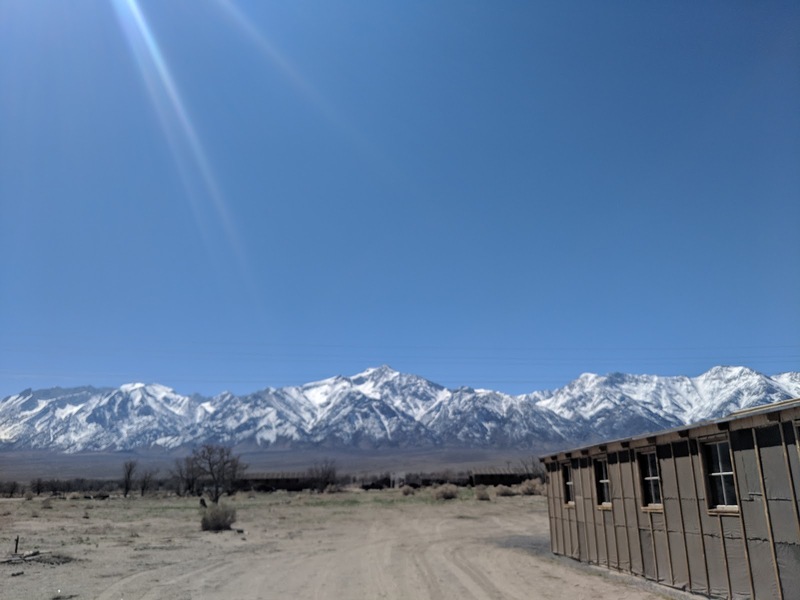 Manzanar was where over 10,000 people of Japanese descent were sent from their homes shortly after the beginning of World War II for no reason other than their race and nationality. There isn't much left to the site since the government dismantled most of the camp after the war ended, but the National Park Service has a very powerful museum in the old community center and has started to rebuild replicas of barracks, the fire station, and the guard towers. 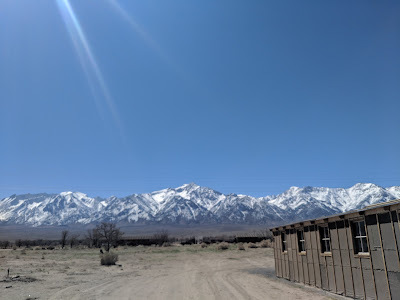 I have been to Manzanar three times now, and it gets harder every time I go back. I get a little teary eyed walking through the museum and seeing the exhibits of people ripped from their homes with little more than a bag of clothes on their back. I cannot urge one more to stop if you are ever traveling 395, it's something that everybody needs to see and experience. 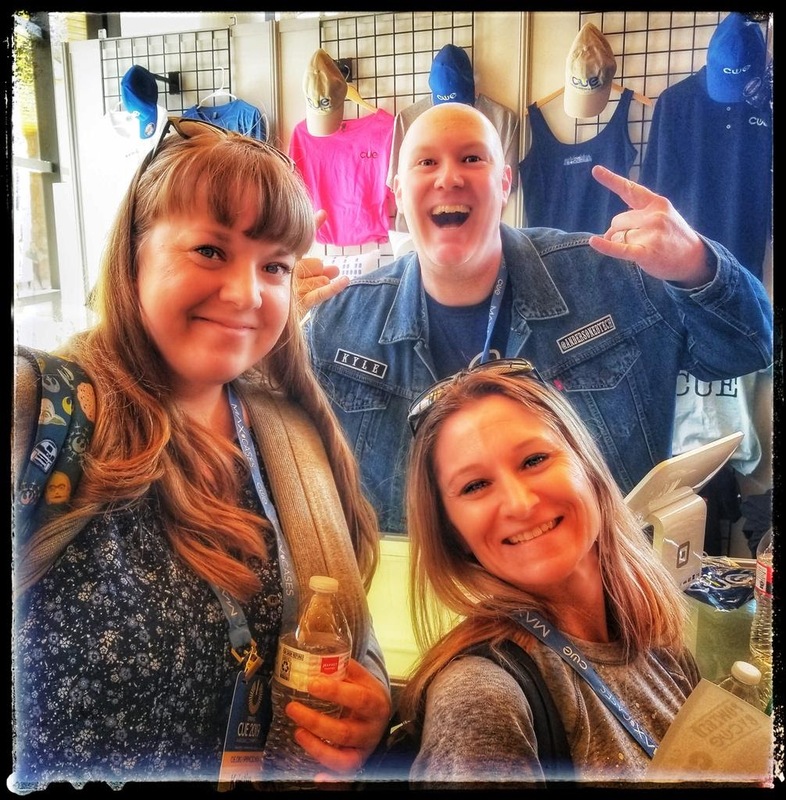 I cannot wait until the next event, whether it's a CUE affiliate event, the CUE Leadership Development Institute in the summer, or FallCUE; it doesn't matter, the learning will always be great and the interactions will be greater. I will close this out with a really fun one from Saturday evening's dinner, no context whatsoever, I'll just leave it to your devices to imagine. From left: Kristina Mattis, Jen Giffen, Susan Stewart, and Josh Harris. since I live in Reno, but that's just more time for reflection! Ladies and gentlemen, it is that time of the year once again! 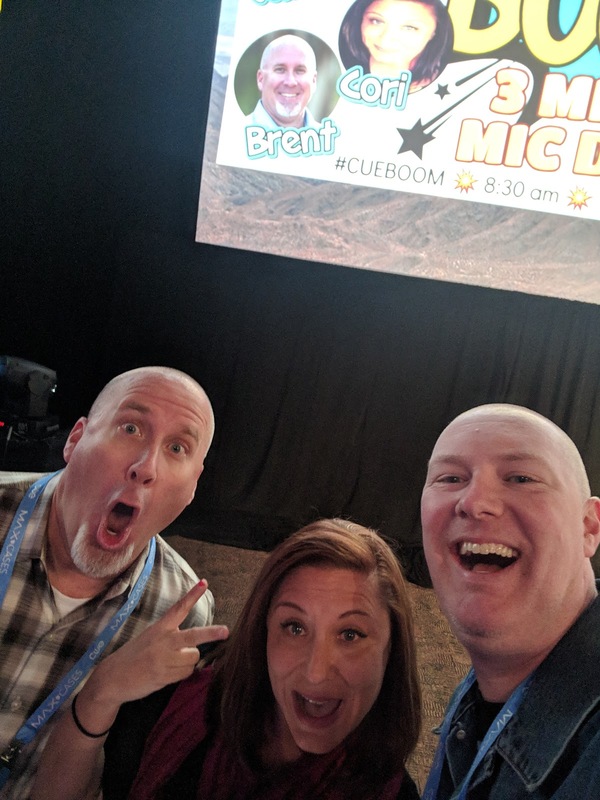 It is time for thousands of educators, technology nerds, and fun loving folk like me to make our annual pilgrimage to Palm Springs, CA for the Spring CUE Conference. This will be my fourth year in a row and in the past, it has gotten better every year, and I expect nothing less for this year! In the hours before I hit the road to make the drive from Reno/Carson City, first to Ridgecrest for a night, then the rest of the way to Palm Springs, I am furiously gathering up the essentials (a duffel bag will do for clothes, but my technology bag certainly puts that bag to shame!) and getting excited for everything that I will be doing at CUE. Since I am leaving after work, a 5 to 5 and a half hour drive with a 3 hour drive on Thursday morning sounded way more enticing than a full drive to Palm Springs from Carson City in one shot, not to mention a room in Ridgecrest was about $60 versus whatever insane amount it will be in Palm Springs the night before the conference begins. It's going to be a busy conference and the lack of sleep will certainly be no joke, once again! 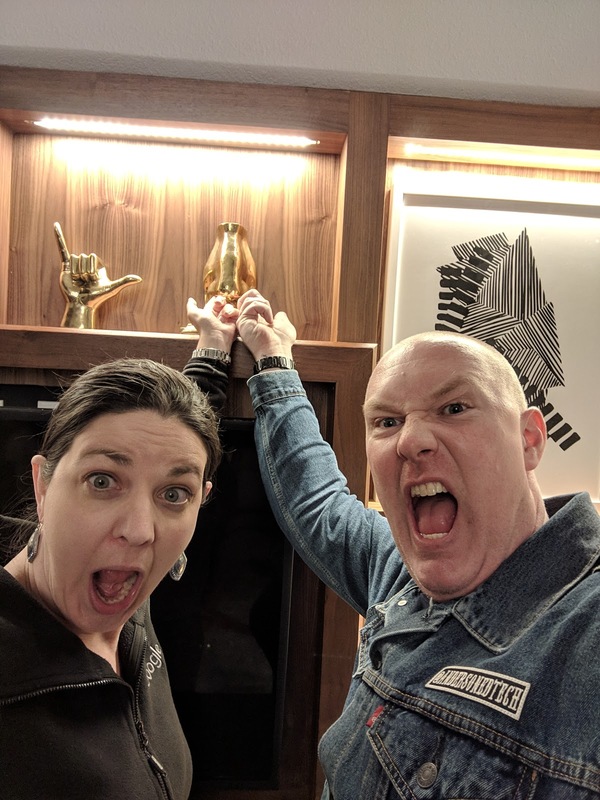 Of course CUE is going to be full of breakout sessions and poster sessions and keynote speeches and workshops and all of that jazz that is awesome, inspiring, and #FirehosePD worthy (shout out to you, Corey Mathias! ), but I'm not going to get too deep into what I plan to go to because I have learned from the past. The past has taught me not to get to hung up on any particular session because there is a good chance that when you get there, it may be full. "So Kyle, solve that by getting to sessions earlier!" Good call, Internet peeps, but I like to get in my networking and conversing and vendor hall time, so sometimes I get caught up and make it to the session, not late, but not as early as I should. So I always have several backups to make sure that I can get to a session that I want, and if I don't make it, I can always fall back on networking, conversing, and vendor hall-ing (I just made up that word, it works, right?). And on top of that, I have a lot of things to promote that will be happening at CUE and I want to take a moment to be a little shameless! First off, you can never have too much CUE gear, like shirts, sweatshirts, and battery banks for your cell phone. That being said, I will be volunteering at the CUE merchandise stand on Thursday afternoon from 12:45-2:45, Friday from 11:30 to 1:30, and again on Saturday from 9:30 to 11:30. Come see me to chat and grab some CUE swag before it's all gone! We all love our stickers. Many of us fork out lots of hard earned cash just to have a different kind of currency for conferences. Stickers are the new business card and also serve as a form of art, not just for the sticker itself, but for the laptops and laptop covers that get plastered with stickers after a successful exchange. FallCUE had the first ever Supermuch Sticker Swap, which, to put it lightly, was kind of a dumpster fire that was interrupted, literally, but a fire alarm, but it was still a great time, regardless of how unorganized it was (but to be fair, it was sorely underestimated how popular it was going to be). For Spring CUE, I was lucky enough to get a table to promote my stickers! I will be there with my blue AndersonEdTech stickers, BeerEDU Podcast stickers, a handful of magnets, and some buttons! 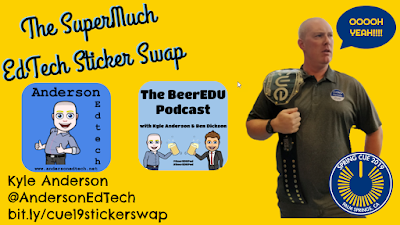 So on Saturday, March 16 at 11:45, come check out the sticker swap to exchange stickers, build your PLN, and learn a little about the history behind my stickers and my branding! Speaking of my podcast, my partner, Ben Dickson, will be attending CUE for the first time! 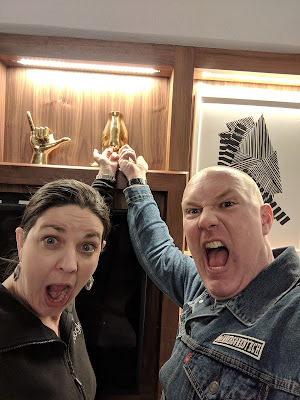 While I am already excited that he is going to be experiencing something so incredible, I am also excited because we are planning to do some recording for the podcast at the conference! 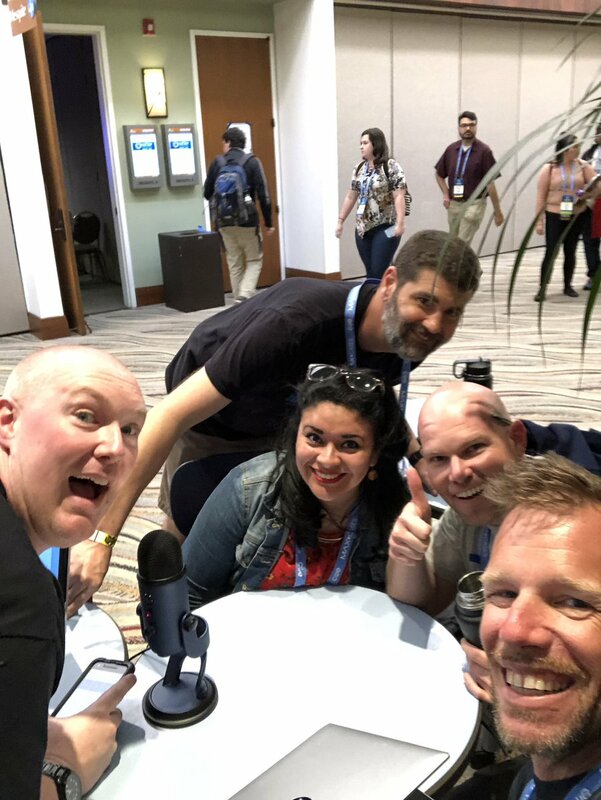 We are hoping to gather some short clips from folks highlighting their favorite moments of the conference, biggest takeaways, and because it's a podcast where we talk about what we love over beers, their favorite beverage for professional development. So be on the lookout for Ben and me with our mics, you will most certainly get a sticker and get your voice heard on the podcast! And what about the other podcast, the Sons of Technology Podcast? We will also be recording an episode from CUE and trying to release it in time for your drives and flights home, so find Joe Marquez and me and we may have a sticker for you! Subscribe to both podcasts on your favorite platform. These are just the things that are for sure penciled into my schedule. This doesn't include any after-hours mingling and shenanigans, the Taste of CUE in Downtown Palm Springs on Saturday night, or the sessions that I have yet to decide upon. It's going to be a whirlwind and you know there will be a follow-up post after the fact. Lucky for me, I have an off day from work on Monday after a long drive to reflect. We will see how I feel about getting it out on Monday! In the meantime, see you in Palm Springs, and if I don't, make sure to follow #cue19, #wearecue, and #notatcue! It is not a secret that I love Google and anything Google related, including the Google Chrome web browser. As you are most likely aware, the Chrome Web Store offers thousands of apps and extensions that make doing your every day work more efficient and simpler. My browser window next time my Omnibox (address bar) is chock full of extensions that I use on a regular basis, plus more that I have turned off and use only when I need them so they do not drag down my browser's performance (a great extension to manage your extensions is Extensity, it allows you to toggle on or off extension with a couple of clicks). And in the past, some of my most popular posts have been about Google Chrome extensions, so I am bringing you another round of extensions that are you are going to love because they are going to simplify and enhance your life! See below for the citation for this image! 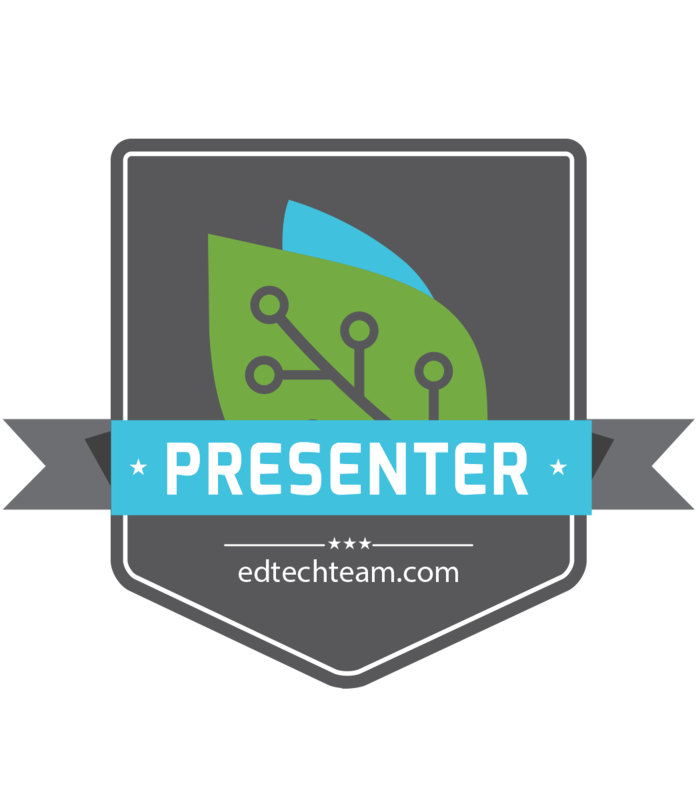 If you are like me, you use a lot of video in your class to address visual and audio learners. 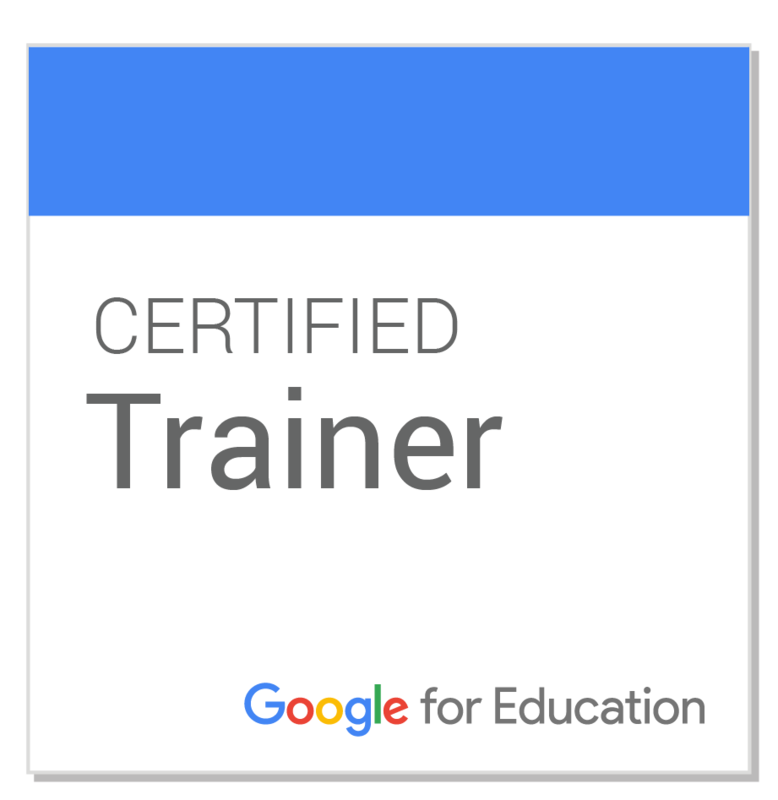 YouTube has been a good friend of mine for a long time, but even the best videos sometimes could not engage students and formatively assessing students afterward was not very effective. Then I was introduced to Edpuzzle, a program that allows users to embed questions, voiceovers, and more into videos from YouTube and other sites. You simply find a video, reuse ones that have already been created by other users (!) or created your own activities for the video. You can even set it to where students have to answer the questions before they continue to watch the video and use their responses for grades as it tracks responses. 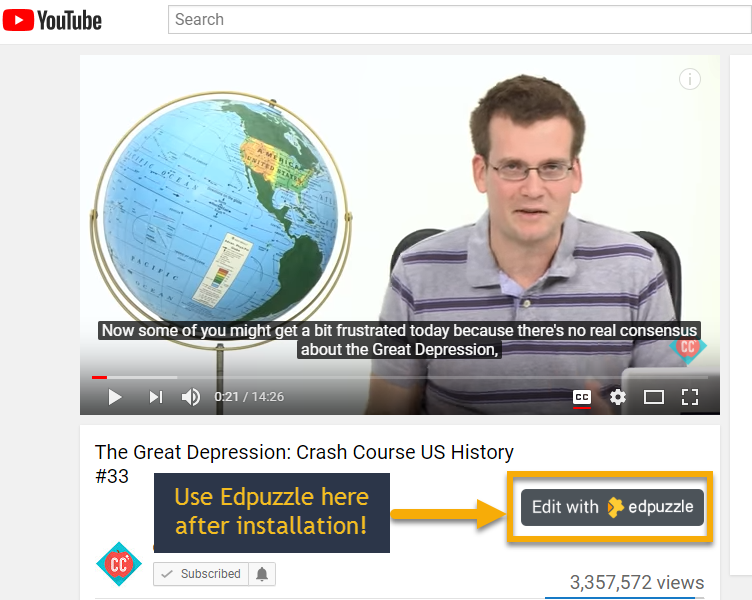 The Edpuzzle extension makes it even easier because rather than having to search for videos in Edpuzzle, it adds a button on YouTube to edit in Edpuzzle! It's a great time saver, especially if you weren't necessarily looking to create an activity in Edpuzzle and you happen to come across a great video! A great new tool that is really gaining a lot of steam in the last few months is Wakelet. I actually covered this in a previous post on Google Chrome extensions, but it is so great that I feel that it warrants a second look! Wakelet allows users to create collections of images, webpages, Tweets, and much more and share them. Rather than bookmarking pages, you can add them to Wakelet and share them more easily. I like to use Wakelet to curate collections of Tweets after a particularly great Twitter chat or after attending a conference or training. You simply create a collection, search by a hashtag, and add the tweets that you want to put in. And after I've completed my collection, I can share it on Twitter, tagging those whose Tweets were included in the collection. But sometimes you come across something on a website that you really like and want to add it to a quick collection. Rather than opening up wakelet.com and logging into your account, if you install the Wakelet extension, you click on the extension and quickly add it to a collection or create a collection with a couple of clicks! And if you want to learn more about the Wakelet, I learned from one of the best in Randall Sampson, check out his profile on Twitter, connect with him, and you can also harness the power of Wakelet! As educators, you are most likely cutting, copying, and pasting things all day, every day. One of the issues that you probably come across is when you copy something, forgot that you copied it because you didn't paste it right away, then copied something else, clearing your previous copy. The Clipboard History 2 extension eliminates this problem by creating a clipboard of all of your copies! Whenever you cut or copy something, the extension saves your copy so you can go back and get it. This is great for items that you use on a regular basis or if you are copying multiple things to paste into a document, a blog post, a Tweet, etc. You can even create favorites that the extension will remember and save for you to revisit, create settings to delete items after a certain period of time or after so many items have been copied, and many more! This is a great extension that I am not using as much as I could, but that's only because I sometimes forget that it's there! Ever find yourself looking at something on a website and really like the font that is used but you do not have an easy way to figure it out? This happens to me every now and then, especially when I am trying to match the fonts in what I am creating with the product that I am writing about (ex. 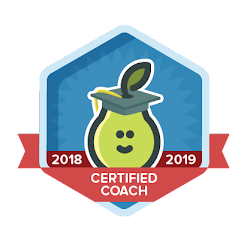 Pear Deck). The Chrome extension WhatFont helps solve this problem! Once you install this extension, you simply click on it, hover over the text that you are inquiring about, and a bubble will appear telling you the font! It's that simple! Once you know, you can go into Google Docs, Slides, Microsoft Word, Powerpoint, whatever it is and set your font! Without going back and looking through my previous posts, I believe that this is either my fourth or fifth Chome extension edition of the blog. In my opinion, anything that helps me save time and be more efficient in my daily life is a winner, and because new extensions are added all the time and others are updated with new features, I have no issue with writing one of these every few months. Hopefully, you have some doozies that you will share as well!